The JUVÉDERM® family of dermal fillers is composed of smooth, gel-like injectables that are designed to restore facial volume that has been lost with the natural aging process. JUVÉDERM® XC is used to treat static wrinkles that occur due to facial volume loss. The most common areas treated with JUVÉDERM® XC are the nasolabial folds (parentheses of mouth), cheeks, smoker’s and lipstick lines of the upper and lower lip, marionette lines, temples, along the mandible or jaw line, chin and under the eyes. JUVÉDERM® XC is also very commonly used for lip augmentation and contouring, as well as treating the deep wrinkles that do not resolve with BOTOX® Cosmetic treatment, such as the deep vertical lines in between the eyes. JUVÉDERM® Ultra, Ultra Plus XC™, and JUVÉDERM VOLBELLA® XC are the only FDA-approved hyaluronic acid fillers approved to last up to one year with a single treatment. JUVÉDERM VOLLURE™ XC has been shown to last up to 18 months, and JUVÉDERM VOLUMA™ XC is FDA-approved to last up to two years. JUVÉDERM VOLUMA™ XC, a newer addition to the Allergan dermal filler product line, has quickly become one of our most requested non-surgical procedures. JUVÉDERM VOLUMA™ XC is best utilized for the mid-face to provide a lift. Strategically placed, small amounts of the formula are placed onto the cheek bone and thereby help to re-drape the sagging skin of the lower face to offset the appearance of jowls, hollowed eyes, and nasolabial folds. After injections, light tends to reflect better off the cheeks and give a patient’s face a refreshed look, with many reporting they look 5 years younger. Due to the nature of placement of this product on the cheek, Ms. Duke requests that patients arrive to the office with a freshly cleansed face free of makeup or lotions. JUVÉDERM VOLBELLA® XC is a newly FDA-approved dermal filler by Allergan that was designed specifically to plump the lips and smooth lines around the mouth. The injectable was formulated with VYCROSS®, which is an especially smooth gel-like material. This allows Ms. Duke to create beautiful yet subtle lip augmentation results, helping patients achieve a naturally full lip contour. It can also provide rejuvenating benefits to the area surrounding the lips, effectively diminishing the vertical lines commonly known as smoker’s lines. JUVÉDERM® is a dermal filler composed of Hyaluronic Acid (HA) that is used to replace the volume in the face that becomes depleted with age and sun exposure. HA is a natural substance present in the body that helps to bind water and gives skin its supple appearance. As we get older, the amount of HA decreases, and the skin begins to lose volume causing undesired wrinkles and folds, especially around the mouth. The HA in JUVÉDERM® is a cross-linked formulation that is able to provide stable and long term volume replacement with little risk of allergic reactions because it is naturally present in all tissues of the body. Although there are other HA dermal fillers available, JUVÉDERM® is the only smooth, non-granular formula on the market. JUVÉDERM XC®, JUVÉDERM VOLUMA™ XC, JUVÉDERM VOLBELLA® XC, and JUVÉDERM VOLLURE™ XC can provide beautiful, anti-aging results by adding volume and smoothing out lines and wrinkles. However, each formula has been designed to address signs of aging in different areas of the face. The most common areas treated with JUVÉDERM XC® are the nasolabial folds, smoker’s and lipstick lines around the lips, marionette lines, and under the eyes. It can also be used for lip augmentation and contouring, as well as treating the deep wrinkles that do not resolve with BOTOX® injections, such as the deep vertical lines between the eyes. JUVÉDERM XC® is FDA-approved to last up to one year with a single treatment. JUVÉDERM VOLUMA™ XC, on the other hand, is used to treat signs of aging in the midfacial region. This includes adding volume to hollow-looking cheeks and filling in lines and wrinkles in the area. JUVÉDERM VOLUMA™ XC was the first and remains the only FDA-approved dermal filler to temporarily correct the effects of aging on the midface. This unique formula has been shown to provide long-lasting results, some patients seeing their anti-aging results for up to two years. JUVÉDERM VOLBELLA® XC is a new addition to the Allergan line of injectables, and it is FDA-approved to enhance the lips and smooth lines around the lips. The smooth gel formula creates a subtle increase in volume to the lips, while also diminishing the appearance of smoker’s lines. Clinical trials have shown results to last up to a year or longer for the majority of patients. JUVÉDERM VOLLURE™ XC is the latest filler in the JUVÉDERM® family to be released. This formula was specially designed to add subtle volume to the lower face to smooth prominent nasolabial folds. JUVÉDERM VOLLURE™ XC is FDA approved to treat these moderate to severe facial lines, and clinical studies have shown the filler to provide results for up to 18 months. JUVÉDERM® is a nonsurgical procedure that provides excellent results with little downtime or recovery. JUVÉDERM XC®, JUVÉDERM VOLUMA™ XC, JUVÉDERM VOLBELLA® XC, and JUVÉDERM VOLLURE® XC products contain Lidocaine (a local anesthetic) that makes the experience virtually painless. For additional comfort, a topical anesthetic may be applied. JUVÉDERM® is injected below the skin or in the lips with a fine needle, and ice is applied afterward. The results are immediate, and because HA absorbs and binds water, you can expect a small further increase in volume over the first 24 hours. At Richmond Aesthetic Surgery, we are proud to offer virtually painless injections. Our nurse practitioner has a decade of experience specializing in injecting dermal fillers. While some injectors spend only 10-20% of their day providing BOTOX® Cosmetic and dermal filler treatments, our NP spends 85% of her work day injecting patients. In addition, Ms. Duke attends advanced injector courses every year to maintain her skills and learn the latest techniques allowing her to achieve the highest amount of correction with the least amount of filler product. With over 10,000 treatments performed, coupled with a gentle hand and slow injection technique, our patients report experiencing little to no pain, or bruising. Some stinging or pressure may be experienced at times as with any injection procedure; however, with the use of ice and her cautious approach, most of our patients are pleasantly surprised at how easy the procedure is tolerated. The most common side effects associated with JUVÉDERM® XC are redness, tenderness, mild swelling, and bruising along the injection sites. Most of the side effects resolve in 3-5 days. Individuals on aspirin or other NSAIDS, prescription blood thinners (Coumadin, Heparin), fish oils, vitamin E, gingko biloba, ginseng, garlic supplements, or alcohol consumption within the past week are at greater risk of bleeding and subsequent bruising. Adverse events associated with JUVÉDERM® XC are rare due to the biocompatibility of the substance in the body. Little to no downtime is typically needed following JUVÉDERM VOLUMA™ XC injections. However, mild temporary reactions are possible, though they should fade within the first two to four weeks. These side effects may include mild tenderness, lumps, firmness, swelling, discoloration, itching, and bruising. Should a more serious reaction occur, the formula can be reversed through a special injectable that helps break down the HA. Side effects from a JUVÉDERM VOLBELLA® XC treatment are typically mild to moderate. Patients may experience some swelling, redness, tenderness, firmness, or bruising; however, these should be temporary and gradually fade within the first 30 days. 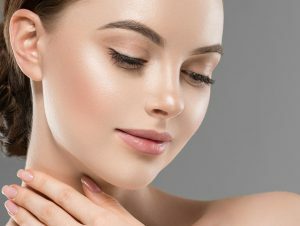 Just like any injectable procedure, it is possible that a treatment with JUVÉDERM VOLBELLA® XC may lead to infection, but this is extremely rare. JUVÉDERM VOLLURE™ XC is designed for patients 22 years and older, and since the formula is composed of HA, allergy testing is not necessary. However, patients who are allergic to lidocaine should refrain from treatment with JUVÉDERM VOLLURE™ XC. Side effects from the injectable are typically mild to moderate and are usually limited to the injection sites. This includes potential swelling, bruising, tenderness, firmness, lumps/bumps, and redness—which have been shown in most patients to fade within seven days. Our office utilizes both Juvederm Ultra XC™ and Juvederm Ultra Plus XC™. Juvederm Ultra Plus XC™ is a slightly thicker gel and contains a smaller amount of crosslinked HA than Juvederm Ultra XC™. Our nurse practitioner will help discern which product works best for you during your consultation. Both JUVÉDERM® XC syringes are comprised of 1.0 ml of injectable gel. The number of syringes needed for your treatment will be determined by the amount of correction needed in order to achieve your desired aesthetic outcome. Touch-ups within 2 to 4 weeks after your initial injection may be necessary to achieve full correction. Check our website often for additional discounts and promotions throughout the year.